Is Your Android Phone Invading Your Privacy? Android mobile phones are amazing and they can help you complete your tasks with just a few swipes. No matter what problem is bothering you, there’s an app to help you with the same. As these have matured beyond our expectations, they have been given a significant place in our day to day life. But there’s a catch! These applications can trick you and gather your data. Not sure how? Well, let’s take an example. Think of a navigation app. Needless to say, it is quite helpful when we are not familiar with the routes. But in order to do this, your Android device and the app that you are using for navigation need to access your location via GPS. This is something which is not worth sharing. The reason behind is that someone or something knows your location and you don’t want to think of consequences of this information fallen into hands of someone with malicious intends. There is no denying the fact that Android operating system gives you options to deal with every kind of situation, but are you willing to put your privacy at stake for this? So if you are wondering if your new Android phone is making you vulnerable and invading your privacy, then you should know that it is! We have a plethora of apps that help us in every facet, by downloading them we make sure that we are never stuck. But if we pay attention to one small detail before downloading them, we may know which ones may make us vulnerable! Can you guess what it is? App permissions! That small window which appears as soon as you hit the install button is very important and tells you about the things which it will access! But how many of us actually go through it? We just hit accept and wait for the application to get installed! You might be thinking it won’t pose any threats, but reality is quite different! 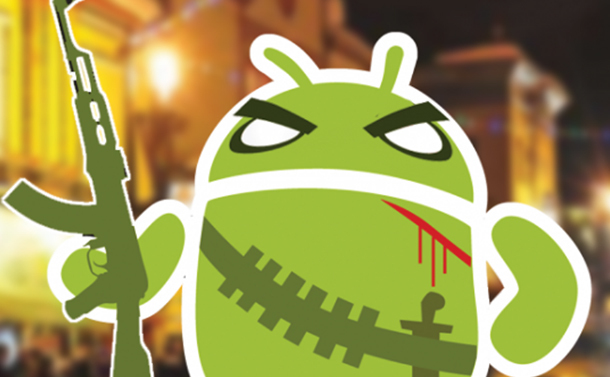 Which Android App Permissions Should You Be Wary Of? We aren’t saying that you should simply abandon the applications that ask for these permissions, but you should always be aware of what permissions are you giving. So, go through the list below and know how you are digging your grave! App developers’ wishing to access your location is the biggest problem today, and it’s for good reason. If you are allowing this, you are actually giving permission to determine your location accurately so that local coffee shops, restaurants, shopping centers and other places that may be of your interest can be suggested to you. But how is this harmful? If this information is accessed by a malicious third-party, then it could lead to social engineering campaigns. Furthermore, it can be used against you for future phishing attacks or opportunistic robberies as well. In a few cases, this information can be sold to advertisers for “Minority Report-style location-based ads.” Didn’t think about this, did you? A lot of apps are available for free on Play Store, but make whopping amount of money via in-app purchases. For example, a user may be asked to pay a small amount for features or content. The most obvious risk with this is that if you’ve set up your payment details, and your phone is stolen or left unsupervised, things can get really messed up! This allows to potentially tap into sensitive log data, read web bookmarks and history, retrieve your system’s internal state, and the list of all running apps. In most of the cases, app developers want access to this data to see how their app is being used and how it can be improvised. But we cannot overlook that there have been instances where these permissions have been exploited to send private data to the analytics company. These days, applications often ask for full Internet access, the reason behind this is they need your data connection to pull the ads. But this makes you an easy target and someone with skills can easily extract details like how many devices are connected, are there any loopholes that can be exploited and many more. Also, even if you are using the best antivirus for Android, you may still be at the verge of getting hacked! Can We Regulate The App Permissions? Well, if you are using an older Android version, then you don’t have any option. However, from Android version 6, Marshmallow, you can revoke these permissions. This gave users the control they didn’t have earlier. You can decide whether permissions should be granted or denied. Follow the path, Settings -> Apps ->App Permissions, and you’ll be able to see how many applications have access to your location, SMS, microphone, body sensors, storage, etc., with the names of apps. The bottom line is your safety is in your hands up to an extent and your alertness will definitely be fruitful. What do you think? Do let us know in the comments section!